Does your Miami CPA Firm charge by the hour? " Home / Blog / Does your Miami CPA Firm charge by the hour? Gustavo A Viera a Miami CPA firm still remembers exactly why his firm decided to break with tradition twenty years ago. Viera, a Miami CPA who runs an accounting, tax and consulting firm wondered if changing his billing model might help. It’s a question many CPAs have considered in recent years, especially as more and more consultants have called for the elimination of the billable hour. 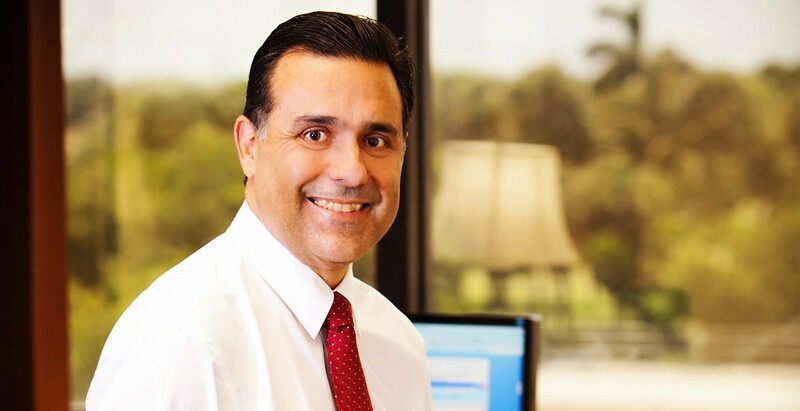 Gustavo A Viera CPA twenty-year experience provides an instructive case study for CPA firms that want to understand the challenges and potential benefits of such a change. He jettisoned the firm’s old model, in which Miami accountants charged most clients hourly and invoiced after the work was completed. Instead, a majority of clients began prepaying a flat rate through an automatic monthly bank draft. The rate varied by client. We made that change twenty years ago, and my colleagues frowned at the business model. Today, about 75% of Miami CPA firm’s clients pay a flat monthly fee. Another 50% are on a prepaid retainer (especially those with fluctuating workloads, such as companies that have a lot of seasonal business or those engaged in mergers or acquisitions). Viera has been thrilled with the change, which reduced costs and improved relationships with his Miami CPA firm’s clients. “The focus is now on the work, where it should be,” he said. Viera is just one of the few Miami CPAs to adopt the pricing method before economic times forced the rest of the profession to change in the past few years. Those methods come in different shapes and sizes. Some CPA firms still use billable hours internally to help calculate a fixed monthly rate for a portion of clients. On the other end of the spectrum are CPA firms that completely discard the notion of an hourly metric and instead use “value pricing,” in which prices for all—or almost all—clients are based on the value of the service provided to the client. Three-quarters of U.S. CPA firms use some sort of fixed-fee pricing, according to the 2014 National MAP (Management of an Accounting Practice) Survey, which was sponsored by the AICPA Private Companies Practice Section in association with the Florida Society of CPAs. The percentage of firms using value pricing jumped to 60% from 45% in the 2012 survey. Despite the changes, the venerable billable hour is anything but dead. Hourly billing remains the most popular method, with 86% of firms doing at least some client billing on an hourly basis. Viera stills bills clients on an hourly basis for value-add-services like consulting services. Viera made the change to fixed pricing in large part because he feared that the billable-hour model antagonized clients. Recruiting and retaining clients require building strong relationships with them. Unexpectedly high bills that result from a firm taking longer than expected to complete a project can damage those relationships. Even if the extra time was the client’s doing—through scope creep, for instance—this kind of billing practice is almost guaranteed to create friction with clients. “The billable hour measures the wrong thing,” said Viera. The practice focuses on the practitioner’s inputs, namely time, rather than on the output (i.e., results). The value of the results should determine the cost of the service, not the time it takes to achieve them, he said. Otherwise, Miami CPAs can find their revenue stream severely limited. There are, after all, only so many hours in a day. Despite those perceived drawbacks, moving away from the billable hour is full of challenges. Some CPA firm leaders assert that they still need to track time to determine their costs and gauge which services produce the biggest margins. While the exact terminology may vary, firms that eschew the billable hour typically replace it with some form of upfront pricing. Many Miami CPAs fear—with good reason—that they will have trouble accurately pricing jobs before they perform the work. One of the biggest drawbacks with fixed fee engagements, especially in recent years, is the “Unknown Factor” as Viera calls it. With local, state and federal governments bombarding small businesses with suspect (if not illegal) penalties, Miami CPAs charging fixed fees has seen their profits plummet. “We spent 20% of our CPA Firms total working hours disputing penalties, and did not pass on the cost as part of the fixed fee arrangement”. We finally had to change the T&C’s of our engagement letter to add an hourly fee for those unforeseen events like penalties and the increase in “Comfort Letters”. Interestingly, clients with really good long-term relationships with were often skeptical of the proposal. They suspected the change was actually designed to hide a rate increase. Clients tried to calculate everything themselves in an effort to double-check Viera’s math. He responded by scheduling one-on-one conversations with clients to explain the details of the change. Those talks helped allay client concerns, and the firm was able to move forward with the plan. New clients, who started with fixed pricing from the beginning, did not push back and were accepting of the model. Viera’s experience with client pushback is the top concern of many practitioners who fear that moving away from the billable hour will cost them customers. Whatever its drawbacks may be, the billable hour is a quantifiable metric that clients have accepted for decades. Flat fees, even if disclosed upfront, can seem more opaque. What if customers are so suspicious that they bolt for a competitor? The reality is, you will probably lose some of your clients. But you will lose far fewer than you think you will. “Most of the ones you do lose—they’re not your better clients,” Viera added. What of CPA firms that provide services different from those that Viera specializes in? Or firms much larger than Viera’s Miami CPA firm. Consultants say that upfront, fixed fees can work across almost all sizes and specialties (one notable exception would be bankruptcy and estate and conservatorship work, where time sheets have to be submitted to the court). The key: Pricing in advance requires CPAs to plan the project in advance. Miami CPAs need to determine who will work on the project and how long it will take. Policies must be in place to deal with additional client requests during the process—such as the use of change orders—since scope creep increases CPAs’ allocated costs. Even with careful preparation, firms are almost certain to see hiccups in the transition. In Viera’s case, employees at his firm initially spent more time than expected on projects. He refined the firm’s internal processes to solve the problem. “But we had to be careful, because at one point, we had an accountant so accountable with his time that he didn’t want to go over the budgeted hours for the flat rate, so he started shortcutting some of the tasks,” Viera said. “For instance, in an interim bank reconciliation, he was just going to wait until the end of the month. And I told his, ‘No, we do all the work we normally do. We just keep it within the hours if we can, and if we can’t, that’s the risk that we take.’ ” Viera said that if the firm goes over on time—without a change brought on by the client—the firm eats the additional allocated cost rather than charging the client for it. While Viera’s firm uses fixed pricing, some firms prefer to switch to what consultants call “value pricing.” Nomenclature can work against firms looking to make such a change. While “billable hour” is pretty self-explanatory, the term “value pricing” can be confusing to both CPAs and their clients. Is “value pricing” just another way to say “fixed pricing”? Does “value” mean that something is cheaper in price? Or does it mean that the service provided won’t be of high quality? Viera defines “value pricing” as the maximum amount a customer will pay for a CPA’s services before the work starts. The concept frees CPAs to charge more for a project than they would under the billable-hour model. For instance, the tax return for a client with $150,000 in annual income might take roughly the same amount of time to prepare as the return for a client with $1 million in annual income. But with more money at stake, the value provided to the higher earner is greater—hence, the practitioner charges the higher earner more to prepare his or his return. With the billable hour, “you’re subsidizing a rich client, in effect,” Viera, said. Value pricing also rewards efficiency on the accountant’s part. Such an approach helps Miami CPAs boost revenue without working additional hours. Consultants know that CPAs already fret about pricing perceptions and don’t want to do anything that makes it look as if they are taking advantage of clients. Noble as that philosophy is, consultants say it can cause CPAs to undervalue their services. And while value pricing can increase CPAs’ revenue, there are benefits for clients as well. First, they get price certainty upfront. Second, value pricing can also provide clients with some price flexibility. That’s because value pricing is more nuanced than a fixed price. Golden explains that a “fixed price” is one in which a firm unilaterally decides what it will charge for a project. Upgrades and add-ons (these would be what contractors call change orders). The price tag for a project depends on which options clients select. The price for a project that a client needs completed in a month, for instance, could be less than a project the client needs finished in a week. With options like that, clients have a seat at the table in determining how much they pay—and in some cases, they may select options that give them a lower price than under the traditional billable-hour model. Viera’s experience offers a final note of caution: The transition to a new model can easily create billing confusion. That’s because clients will receive an invoice for work before it’s completed. In other cases, some clients think everything including the kitchen sink is included in the fixed monthly fee. In the same vein, Viera points out that larger public accounting firms should make the change one client at a time instead of by practice area. Otherwise, they can encounter similar headaches. In either scenario, clear communication with the client is critical. Viera is candid about the challenges that a firm such as his faces in moving from the billable hour. The transition requires additional work. It can cause pushback from concerned clients, or clients who try to take advantage of the term “fixed fee”. And firms will make some mistakes when pricing jobs early on. Despite all those obstacles, he’s adamant that his firm made the right move. Some practitioners have moved away from the billable hour in an effort to improve client relations. Others see an opportunity to implement new pricing alternatives that can increase margins. Three-quarters of U.S. accounting firms use some sort of fixed-fee pricing, according to a 2014 survey. The percentage of firms using value pricing jumped to 56% in a 2012 survey from 41% in a 2014 survey. Firms that move from the billable hour often replace it with some form of fixed, upfront pricing. Upfront pricing requires CPAs to plan and organize more on the front end. Fixed, upfront pricing can cost CPA firms revenue if it is not properly executed. Accountants have to stick to the price unless the scope changes—even if it takes them more hours to complete than projected. Some clients are suspicious, others take advantage of pricing format changes, and transitioning to a new model also can create confusion. Communication is crucial to preventing the loss of key clients.